I recently published a book mainly aimed at doctors doing neurosurgery for their post-graduate end-of-training examinations, both the US residency boards and the UK FRCS(Neuro.Surg) exams among others. It was quite an undertaking largely tackled by its hard working first author. I have written over 20 book chapters, notably chapters on epilepsy surgery and imaging in the well known neurosurgical textbook Schmidek and Sweet, and recently the Basal Ganglia chapter with Prof. Tipu Aziz of the famous medical tome Gray’s Anatomy. However, to write a whole academic book is a much more daunting commitment over a couple of years and it’s very gratifying to learn that the final product has been well received both in print and in its interactive online versions on ExpertConsult and Inkling. The book is unique in containing the type of extended matching questions increasingly used in the British and other examinations. 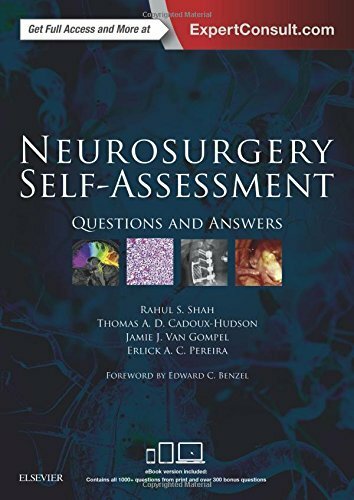 I am delighted to learn from Elsevier that the question book is a best-seller among the neurosurgical community and that they are now doing a reprint within a few months of its release. This gives us a great opportunity to incorporate feedback from the trainees and established neurosurgeons who have read it and spotted any first edition typos or other minor points for correction!